In late 2019, a technology demonstration which only a few years ago would have been written off as impossible will take place. 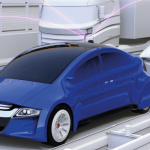 The MuCCA (Multi-Car Collision Avoidance) project, led by IDIADA UK and with financial support from Innovate UK, is developing a collaborative system that will enable connected and autonomous vehicles to avoid collisions. MuCCA-equipped cars will communicate with each other in the fractions of a second before a potential crash – and agree and act upon the best course of evasive action for each individual vehicle to take. Although connected and autonomous vehicles (CAVs) are expected to become increasingly common on our roads in the next few years, many non-autonomous ‘human driven’ vehicles will remain for the foreseeable future, so the system will also take on the added complexity of anticipating the likely behaviour of any human drivers who are in the vicinity of the potential crash. Given the fractions of a second in which the system will have to decide the optimal trajectories and in which the various vehicles will also have to execute the plan, this may all sound like science fiction. And, indeed, even those of us who are working on the project would be the first to admit that we are absolutely pushing at the limits of what is possible in terms of communication, processing power, and sensor capabilities. This is an R&D project, so we do not expect that at the end of the project we will have a system that is ready to be put into production cars, but we are confident that we will end up with a “proof of concept” ­– as well as a much better understanding of what is currently possible, and where the biggest challenges lie in truly achieving a safety system with sufficient swarm-like capabilities. Making that clear distinction between a system that is ready for “real roads” and a technology that is being trialled in a highly-controlled environment has, in fact, been the main factor in helping to move the proposed MuCCA system from those realms of impossibility and into an area that is ‘merely’ extremely challenging. A key early role played by my own organisation, the Transport Systems Catapult, was to define the exact parameters and scope of the project, using our expertise in Systems Engineering and our position as a not-for-profit “neutral player” in the Intelligent Mobility sector to help the other members of the MuCCA consortium decide what the project would involve and (just as importantly) what it would not involve. This can be seen most clearly perhaps in the design of those test-track demonstrations in 2019. 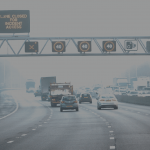 While based upon a typical motorway scenario – since motorway crashes tend to be the most damaging both in terms of fatalities and serious injuries as well as in congestion terms – the environment for the demos is being designed to incrementally explore any initial limitations of the system. The tests will initially be conducted only in daylight and in reasonable weather conditions, with no curves or junctions on the sections of track being used. Experienced test drivers will also be used, to pre-position the cars in controlled positions and trajectories before handing them over to computer control. In addition, all the vehicles used will be cars of a similar type (provided by project partners Westfield Sportscars) – removing the added complexity of trucks, pedestrians, and other road-users, which a commercially ready system would obviously need to include. In summary, the plan for the test track trials is to begin with very simple scenarios and low vehicle speeds before progressing to more complex and higher speed trials as the system is proven capable. While the involvement of expensive prototype vehicles in the test track trials (not to mention the human test drivers) places some understandable limitations on the risks that can be managed on the track, there are no such restrictions on how the system can be tested in the simulated world, with simulation trials due to form another component of the MuCCA project. The simulation trials will also be used to create scenarios where collisions cannot be fully avoided, with the connected cars instead looking to minimise the severity of such collisions. A different type of simulator will also be used for gathering much of the initial data that will be used to generate the highly ambitious Human Driver Model (HDM) being developed by Cranfield University, which will help the system predict the most likely path that the conventionally driven vehicles will take. This part of the project will involve five interlinked driving simulators (so that the behaviour of several drivers can be captured simultaneously) which will all share a single virtual environment along with additional virtual cars. A number of collision or near-collision test scenarios will then be set up in order to capture the real actions taken by a varied pool of human test subjects. In both the simulated test environments and out on the test track, the MuCCA system will need to demonstrate its ability to take in multiple data sources from the sensors of the various connected vehicles, to recognise potential collision risks as they occur, determine the best course of action and then communicate that shared plan to all the connected vehicles in the vicinity. Since reaction time is a significant factor, a fast and efficient coordination protocol is required among the cars involved to achieve the best avoiding outcomes, and the system therefore includes a scoring method to assess the confidence of success for each vehicle’s evasive strategy – with the highest-rated strategy being the one that all cars then adopt. The involvement of Cosworth in the consortium is critical, bringing their expertise in data fusion and ensuring all the data and decisions are recorded for any post-incident analysis in a bespoke data logger. Regulations to support insurance and crash investigation will require such logging for automated vehicles. While computers can clearly process information and communicate with each other far faster than human drivers (and here SBD’s involvement is crucial as their analysis of how to protect a MuCCA vehicle from cyber-attacks is a crucial safety consideration, and illustrates how the project is focused on real world applications), the above requirements still pose a massive challenge to even the speediest of electronic brains. This brings us back to the observation already made above, that we are pushing at the limits of what is currently possible. With vehicle-to-vehicle communication exchanges expected to take in the area of two hundredths of a second, and delays of between a tenth of a second and half a second anticipated when it comes to steering changes or the full application of brakes, time is patently still a factor for computer-controlled cars even while they retain a strong advantage over their human-driven counterparts. It is that superiority over human drivers (in terms of anticipation, speed of calculation and time to react) that makes us confident that even a lone MuCCA vehicle will have superlative collision avoidance abilities, due to its ability to sense the trajectories of all surrounding human-driven cars and to anticipate their likely manoeuvres. If backed up by the work with the simulations and out on the test track, we hope to prove that the technology could bring major collision avoidance benefits even in the near future when CAVs are still rolling out. We are obviously not yet at the point when we can confidently predict that motorway collisions will soon be a thing of the past – but we believe that MuCCA will play a major part in making that ultimate vision attainable. My family members every time say that I am killing my time here at web, but I know I am getting familiarity everyday by reading thes good content. It’s awesome to pay a visit this web page and reading the views of all friends about this paragraph, while I am also keen of getting familiarity. Hello I am so grateful I found your web site, I really found you by accident, while I was browsing on Digg for something else, Anyhow I am here now and would just like to say thanks a lot for a tremendous post and a all round entertaining blog (I also love the theme/design), I don’t have time to read through it all at the minute but I have saved it and also added in your RSS feeds, so when I have time I will be back to read a lot more, Please do keep up the superb b.